Every couple has a story. Some are old-time romantic, while others are more relatable to modern day life. Those new-age love stories are ones that I find to be particularly intriguing - for finding love in this day in age can be difficult. 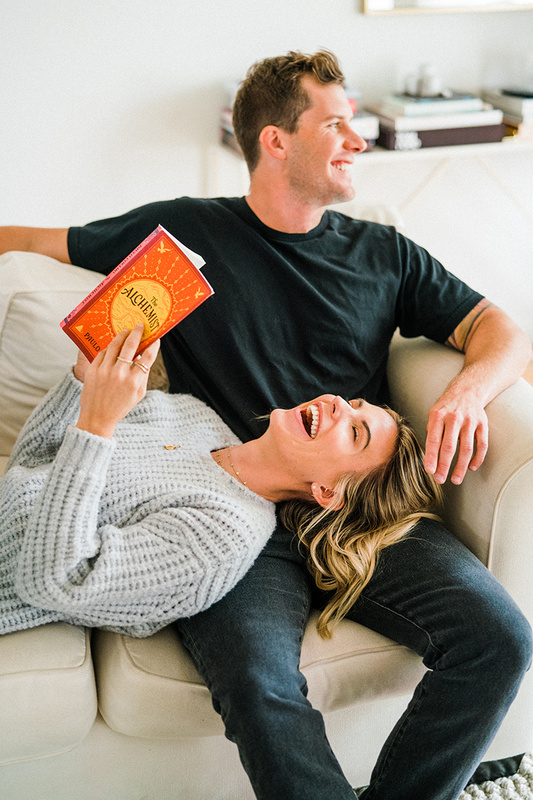 However, rather than shunning the whole "app dating" world of romance, Katie and Adrian embraced it, and in all honesty, their story will make anyone reconsider his or her skepticism around the new age world of romantic pursuit. When I first met my girl Katie a few years ago, I was immediately struck by her chic and edgy California vibe. Smart, gorgeous, kind, and driven, this entrepreneur is and was the perfect catch. So when she told me she met her s/o, a strapping Aussie who runs his own music management agency, on Happn, I knew that I needed to rethink the modern world of dating. 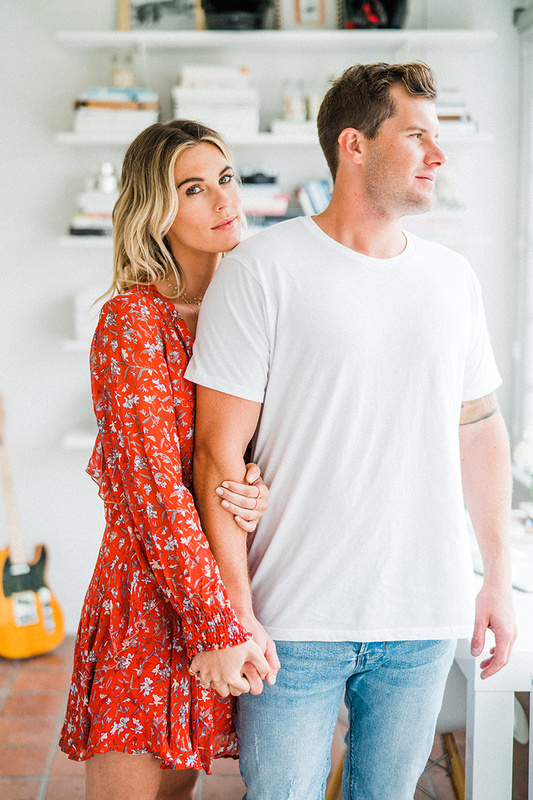 After all, Katie Durko and Adrian Karvinen's story is one that speaks to modern day romance in the most accurate way, all the while having its own nuance that makes it so special. Now, with the couples recent engagement (!!!) I couldn't be more excited to share the story of this beauty and her modern day love story. Katie: We virtually met on a dating app called Happn back in the beginning of April 2015. He was my first match on the app. (And first date from an app!) Shout out to my girlfriend Jessie for pushing me to download it. I kind of owe my life to her! Adrian: On a dating app called Happn that I downloaded just weeks after I arrived to LA after living in London for two years. K: Friday afternoon at the Coachella festival. We met for a drink at the VIP bar by the main stage and instantly hit it off. A: I was instantly attracted to her. Her energy was contagious. We didn’t leave each other’s side for three whole days. K: After that first drink, we were inseparable for 72 hours. Not kidding...we didn’t leave each other’s side until Monday morning when we drove back to LA separately. K: Hard to pick just one! His sense of adventure and his ability to make me laugh are two that stand out. I can always count on Adrian to open my mind to new places and new things. A: She makes me laugh every single day. And she truly cares for me. K: Don’t go out looking for love, it will find you when you’re ready. I know that sounds a bit cheesy, but I spent a lot of time in my early twenties chasing the wrong things. It wasn’t until I took a step back that I found that can't-eat, can't-sleep, reach-for-the-stars, over-the-fence, World Series kind of love. A: You’ve got to kiss a few frogs to find your princess. K: Trust. Without trust, you are bound to live a life of anxiety and hurt. It doesn’t matter if you’re so infatuated with your partner that you can't breathe without them. If you can't trust them, you can't be in a relationship with them. Respect is another huge one for me - you have to treat each other as equals. K: Communication. I don’t think there can be real, lasting love without good communication. Best advice for keeping the romance alive? K: Absence makes the heart grow fonder. We live together and both work from home part time, so we spend A LOT of time together. However, we also both travel for work rather frequently, so we do get that time to miss one another. Those moments when we get the chance to miss each other allow us to appreciate one another more...on all levels. A: Always have new experiences with one another. Photos by the amazing, Stewart Uy Photography!